Homer's Iliad portrays the mighty strength and power of Achilles, a legendary Greek hero whose many exploits included his role in the Trojan War. The Achilles slot machine captures this excitement in an RTG casino game offering 20 paylines across five reels, a progressive jackpot, scatter icon, wild symbol, and bonus features. The images of Troy, one of the most powerful cities in all of Greece, make up much of the background for the Achilles slot machine. While game play is similar to most RTG slots, the symbols feature famous icons, including the Trojan horse, Helen of Troy, a Greek Crest, and a Greek shield. Achilles plays the guest of honor as the wild symbol. The remaining symbols include 9, 10, J, Q, K, and A. If you happen to spin five Achilles symbols on a payline after betting the max, you win 10,000 credits. The excitement of Greece is so real with this game that it is difficult not to get caught up in it. Spinning three or more Troy symbols triggers ten free spins, increasing the odds of winning, especially since all wins are doubled during this time. More fun is on the way to you if you spin three of more Achilles symbols. When this happens, you get to select an icon that triggers 15, 20, or 25 free spins. The excitement doesn't end there either. Every Troy symbol that appears during the spinning is instantly transformed into an icon of Achilles or Helen. All wins are tripled during this bonus. The Achilles symbol is also the wild card. It can complete a winning line if it lands in the right place. Troy was a city filled with people of different means. 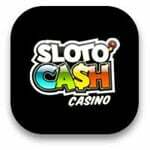 This slot game is designed for players on a low budget and offers small betting starting at one cent a line as well as being styled for big bettors looking to wager $5.00 a line. The Achilles slot machine is an exciting game, featuring enough excitement to keep players engaged even when they aren't winning big. Plus, if you trigger any of the bonuses, you increase your odds of winning the jackpot. 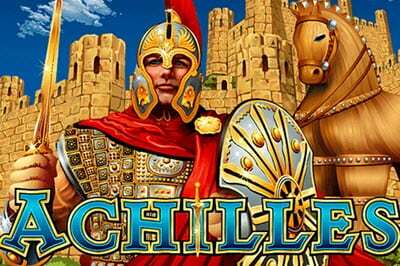 Play at achilles slot Now !